Get Your Pro Glow On! 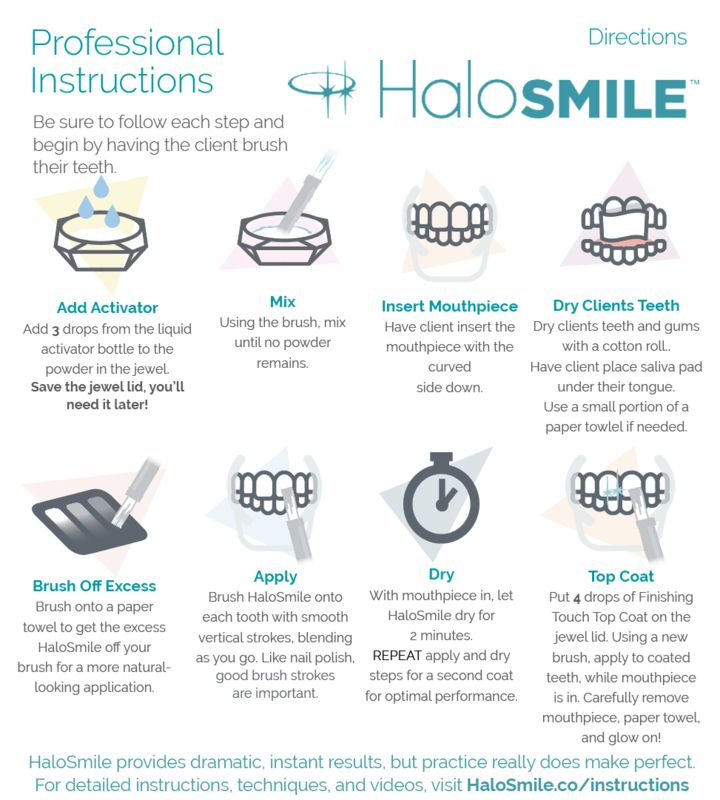 Hello and welcome to the HaloSmile pro-kit application instruction page! 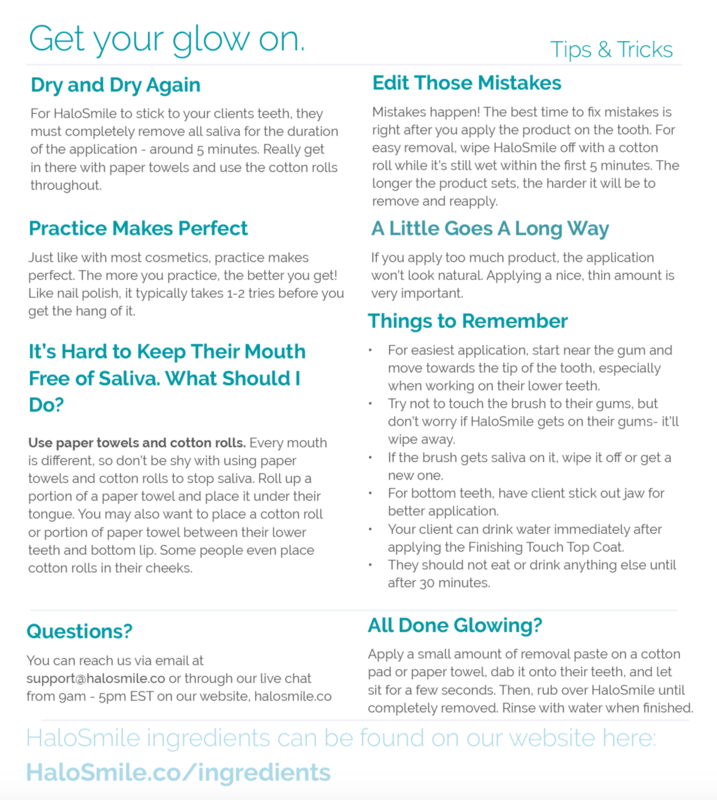 Here you will find a video and step-by-step instructions that will tell you everything you need to know to get that brighter and whiter glow using the HaloSmile pro-glow kit! Any questions can be sent to support@halosmile.co or just click the chat button in the bottom right hand corner of your screen! Be sure to watch the video all the way through before getting started on the application process.